With the advancement of technology in computer games, 3D games are becoming very common. But years back when there was no support for 3D elements, it was quite hard to develop 3D games but solution found at that time was an Isometric view, of 2D elements. Step 1 What is Isometric view? Isometric view in simple words is nothing but creating an illusion of 3D game for a game created in 2D. Isometric view can be created by one of the most common and efficient approach called tile – based approach. 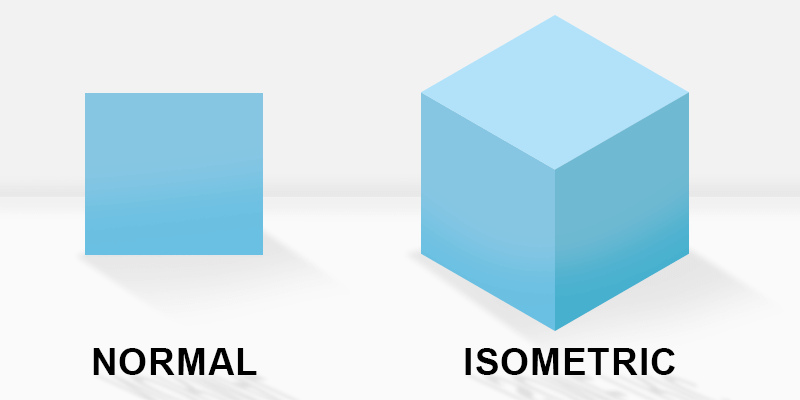 As isometric view creates an illusion of 3D, sometimes it also referred as pseudo 3D or 2.5D. Earlier games like Q*bert from 1982 was one of the first games to use an isometric view. Today big games like Clash of Clans, Age of Empires use this kind of projection. Calculation for positioning tiles in a way such that it creates a 3D view of gameplay is complex. Mapping actual location of the object in a world space / Game space to the location in isometric view is complex and time-consuming. 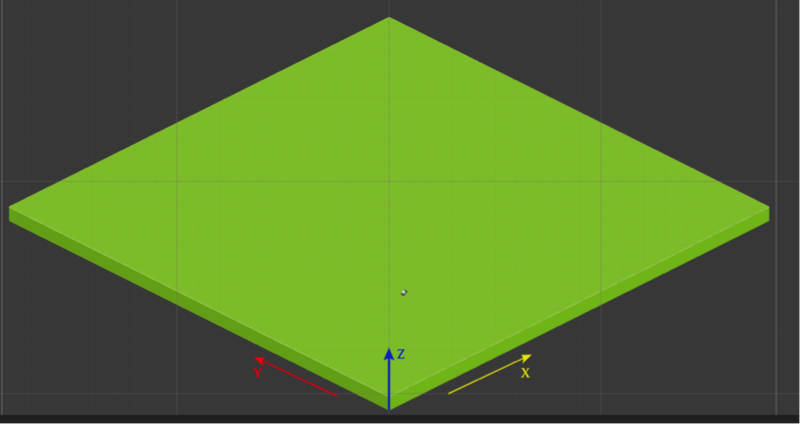 Unity does not have any direct tool or support for Isometric projections. Most of the 3rd party Tools available until now, were not strong enough or optimized enough for developing smooth and proper Isometric games. Calculations for map generation are heavy, for now, no tool was right enough, to load Isometric maps at an optimized rate. Step 3 Then How to Develop Isometric Games in Unity? Of course, it comes with the overhead of creating and rendering 3D objects. But when it comes to the Isometric games you need a lot of additional code to solve common problems like sorting orders, intersecting sprites and continuous movements. We completely eliminate the overhead of rendering 3D scenes, and hence saving a lot of money by taking one of the hundreds of sprite sheets out there. Calculation of positioning tiles to create a 3D illusion and Mapping of an actual location of an object to a location in isometric view is handled by the toolkit. The problems of sorting orders and such other hard algorithms used for creating isometric views are all taken care of by this toolkit with very low overhead. Creating simple base in an isometric view. Placing some objects on that base. Now, let's first create a base of the tile map. Add IsoObject and IsoCollider script into the prefab. Now, Take an empty gameobject in the scene called LevelGenerator. Now add LevelGenerator.cs Script to the gameobject. LevelGenerator script will be stored in Ultimate Isometric Toolkit > Code > IsometricTools > Other. Size represents the size of the tile map shown in the following image. In LevelGenerator, how the tiles will be placed in the scene is represented by the following image. Base in this image is created with size (x, y, z):(20, 20, 1). Tile Size represents a size of each tile to be placed on the map. It scales the isometric position of an IsoObject relative to its position in the tile map. Prefab reference to the IsoObject script on the tile prefab you have created. Here, you have to set a reference to your prefab in Prefab property. Everything in the scene has a transform component attached and is part of your isometric game. Even empty gameObjects should have this component attached. Now, let us create a border around the map, by selecting a different prefab. Here, I have made different prefab for creating boundary just like the prefab for the base. Tip: You can also manually create the boundary but it will be time-consuming. 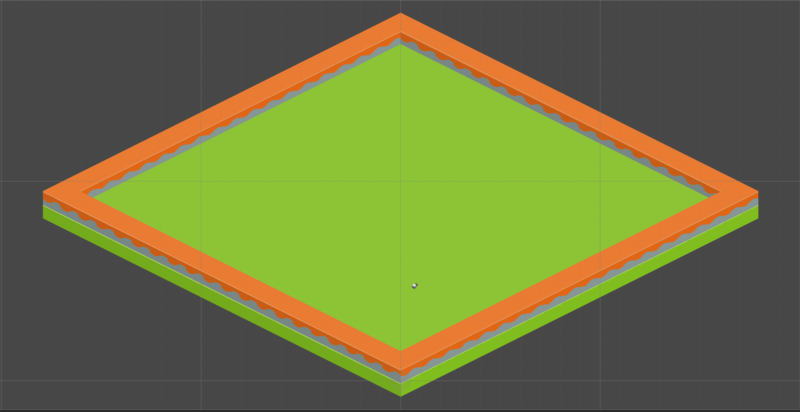 So, here I have made some modifications in the GenericGridMap script of Ultimate Isometric Toolkit for creating Boundary as per my need. Now manually add objects as per your need. Just drag & drop the prefabs available with a toolkit on to your base as shown in the following image. 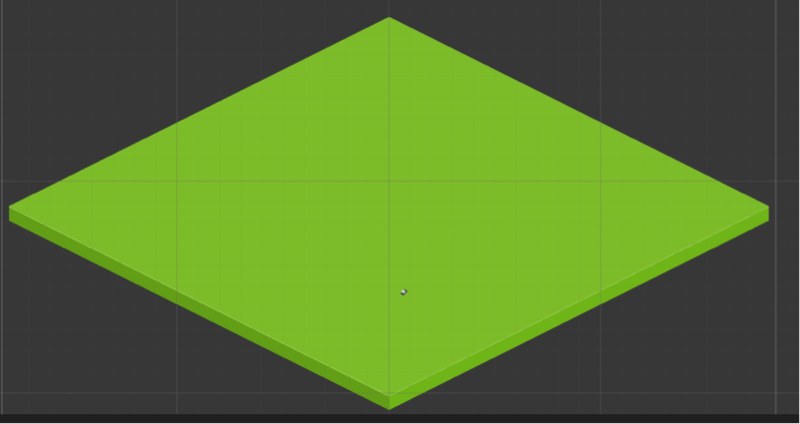 This shows how easy it is to create an isometric map, using this tool. We do not have to worry about all the sorting algorithms at all. This tool takes care of all and allows us to concentrate on the core functionality of the game. CarController script on the prefab of the car. As shown in the script, we will have four different sprites for each direction. So, the car will have a separate sprite for each of the four directions. The translation process of an isometric object is quite different than what we do while we are doing the normal transform. For isometric translation, we will have to calculate the direction with respect to the isometric map. Here, we are using this function for moving a car in one of the IsoDirection i.e. North, South, East or West. This function returns the projection vector of IsoDirection in Isometric map. Projected vector will represent the actual location/position of the car in a game space of Unity. So, after getting the target position to move the car, we can pass that target position to Translate method of Transform class in Unity. 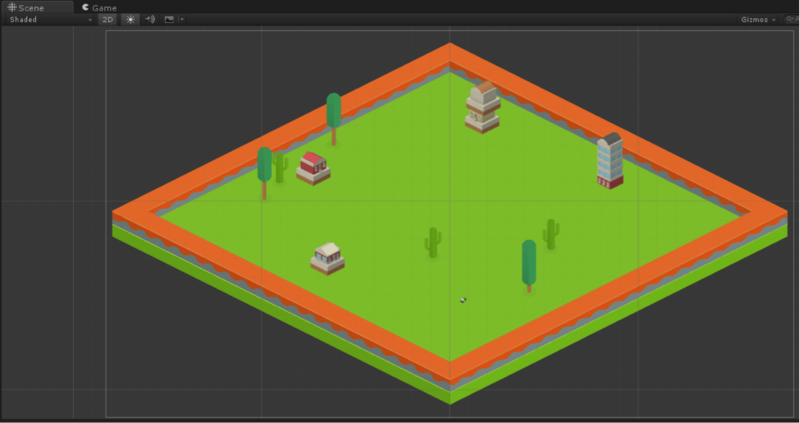 This is how we can create a simple Isometric game using this powerful tool. This demo took me around an hour to complete, which is not bad considering I had to do some research in the tool itself. If I had known this tool already, it wouldn’t have taken more than 10 minutes to create the demo. User-friendly support via email, videos, unity forum, etc. Creating isometric view games become very easy and very less time taking by using the Ultimate isometric toolkit. Toolkit’s structure is very powerful. which is very easily understandable. Which makes it class apart from other isometric toolkits.